by activities that are additional, that is they would not normally take place under business as usual. Credits are traded in emissions trading schemes and can be exchanged for permits in cap-and-trade markets. "The idea," I said, "is that we want to reduce greenhouse gas emissions to the atmosphere." "Fair enough," he said as though I was being obtuse. "So the creation of credits is a way to trade in those emissions whilst making it costly to emit." "So what is a credit?" The glazed over look suggested I needed to start over. "I'm sorry" I said, "We want to reduce greenhouse gas emissions because we think it will help slow down the rate the earth is warming. Businesses need energy to make, sell and move goods around. It is making energy that burns so much fossil fuel and releases greenhouse gases. Even a bank uses power for heating, lighting and a bunch of computers. Almost all businesses emit greenhouse gases no matter how energy efficient they are because they use energy to make, sell and move goods around." "Over time there is more business activity because there are more and more people all wanting to get on. More business means more emissions if the energy they use comes from fossil fuels. But we want the opposite. We want emission reductions. The only way to keep growth going and reduce emissions is to make energy without releasing greenhouse gases. So we need a shift to clean energy sources and low emission manufacturing." The youngster was listening although hardly riveted. "The problem," I said, "is that the cheaper energy comes from the dirtiest sources, notably coal-fired power stations. It is hard for businesses to choose the more expensive option when they are, after all, in business. "One way to force businesses into using clean energy sources is to make the dirty, or what we call carbon intensive energy, expensive. When energy from coal, oil and gas becomes expensive compared to wind, geo-thermal and wave generated power businesses buy the cheaper power and emissions go down. "A price can be set as a tax with monies going to government. 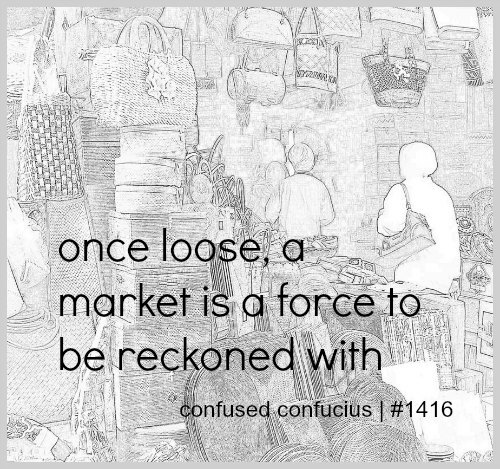 Alternatively a market mechanism can achieve the same result. A market requires a commodity, something to buy and sell, hence the carbon credit." I looked across, smiled and pressed on. "Each ton of emissions above a certain allowed limit requires the company to purchase a carbon credit to offset the emission. Now make the price of a credit high enough and it makes business sense to reduce emission to a minimum such as by shifting to clean energy sources." There was a long pause. Time enough for the cogs to turn and find the holes in my attempt at a succinct explanation. "OK," he said. "Did you see the cricket the other night?" That this exchange was with a second year university student studying for a science degree says a lot about how complex solutions for global warming have become. The problem is not the reduction of greenhouse gas emissions for we have enough technology to move our energy sources away from fossil fuels. The problem is that such a shift will be expensive. It will cost money to transition the way we make energy on such a large scale. Any reduction of greenhouse gas emissions without stalling western economies or restricting opportunity for emerging economies is the real challenge because a change to business as usual will come at an economic cost. we needed the solution in the first place. 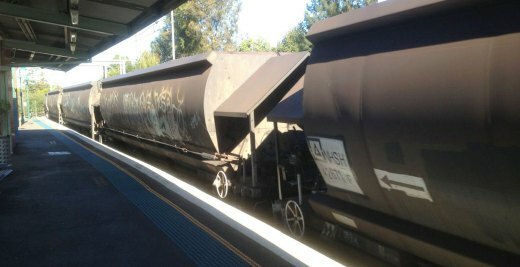 Train carrying coal from mines in NSW to the coast for sea transport to export markets, much of it to China. Who should have to buy the credit for the emissions when this coal is burnt, Australia who mined it or China who burnt it? Carbon credits are a clear unit of measurement — a ton of greenhouse gas in carbon dioxide equivalents. After more than a decade of working out carbon markets we have robust carbon accounting systems that make the credit real in terms of representing an emission, emission reduction or carbon sequestered as carbon offsets. We also have a system for buying and selling credits that traded 7.36 billion tCO2e on a market worth $143 billion in 2009. The conundrum is that even with this mechanism of carbon trading to spread the economic risk and cost of transition to clean energy we need to be sure that we need this solution in the first place.